Below are some highlights from our curriculum and how they relate to classical education. The three modes of learning in the classical scheme are grammar, logic, and rhetoric. From a biblical perspective, these can be construed as knowledge, understanding, and wisdom. 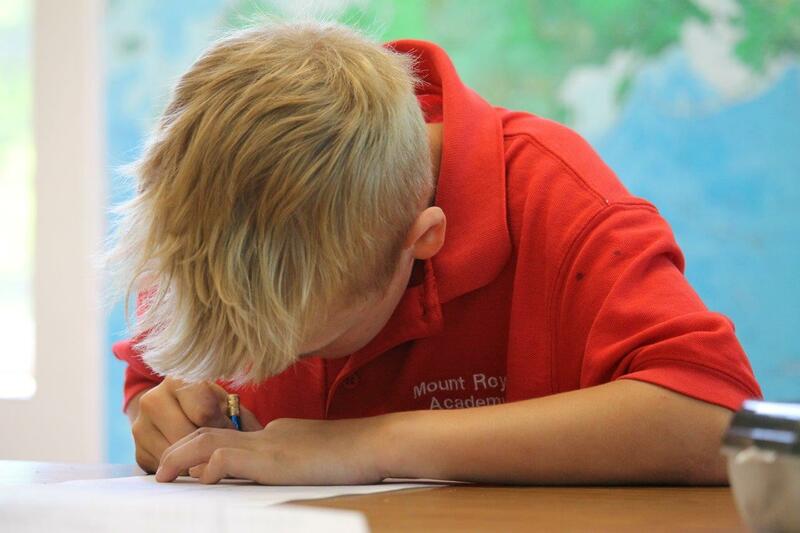 A student enrolled in MRA will be guided through these stages of learning as they progress through elementary, junior high, and high school, acquiring knowledge and gaining understanding in the pursuit of wisdom. Pope Francis' August 2017 prayer intention provides insight into why MRA chose to adopt Sophia Institute's The Spirit of Truth curriculum. Great artwork is a key component of this engaging and thought-provoking curriculum. "The arts give expression to the beauty of the faith and proclaim the Gospel message of the grandeur of God’s creation. When we admire a work of art or a marvel of nature, we discover how everything speaks to us of Him and of His love. That artists of our time, through their creativity, may help us discover the beauty of creation." - Pope Francis. Through active learning and differentiated instruction, students connect personally with the faith. The open-ended questions encouraged students to engage in reflection, construct meaning and understanding, and draw inferences. After extensive research and reflection, our English language arts curriculum has been enhanced in order to remain truly mission aligned, and therefore classically inspired. MRA has partnered with Institute for Excellence in Writing, an instructional model that develops listening, speaking, reading, and thinking skills through writing and has proven results. In order to succeed in every area of life, students must hone the skills needed to communicate confidently and effectively. Through the process of learning to write well, they learn how to think clearly and to express themselves eloquently and persuasively. Watch the video below for a preview. This resource provides students with consistent review and incremental steps needed to become fluent independent readers. Each concept is introduced slowly, using incremental steps for maximum exposure and success. We also have a classical lending literacy library, consisting of K-2 readers and 3-5 literature that students will pull from to hone their english language arts skills while being exposed to the good, the true and the beautiful. The Greek and Latin languages are essential to both the Catholic faith and the classical curriculum. Thus it is fitting that it is also a core component of our language arts curriculum. Beginning in kindergarten and continuing through grade 6, our students participate in the Rooted Mind. This program, as its name suggests, introduces students to Greek and Latin root words and their meanings. This program recognizes the importance of Latin and Greek roots, prefixes, and suffixes within the English language. Students who have a command of roots and their meanings have a distinct advantage in vocabulary acquisition and retention, in reading comprehension, and in taking standardized tests. To read more about the benefits of this program, click here. The history curriculum pivots between American, European, and World history as the student progresses through the academy. This allows the student to understand his place in history, how civilization and culture develop, and the ultimate purpose of history - to understand God's plan for the human race. The textbooks chosen from the Catholic Textbook Project are comprised of historically accurate stories, thumbnail biographies, lives of the saints, maps, illustrations, and other supplemental material. The lavish use of color photos, drawings and maps, combined with excellent writing brings history alive. Saxon Math's incremental structure and spiral approach to review works very well with our classically styled curriculum. Students are able to acquire new concepts in small steps while constantly reviewing what was previously learned.